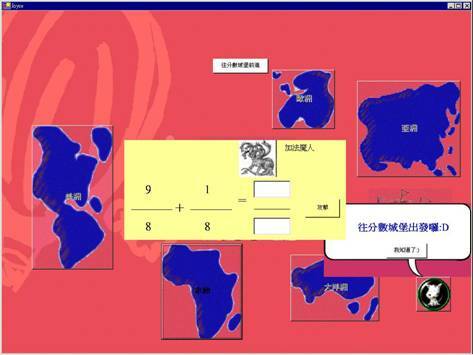 EduBingo ：This Project one is responsible for artificial Hui-Jun Liao .In EduBingo environment , Each student of a class has an action device ， The concept of the whole EduBingo is derived by Bingo game mainly ， The purpose lies in enabling each student to do the exercise with happy mood with EduBingo. Joyce ： This Project one is responsible for artificia Guang-Zheng Feng . 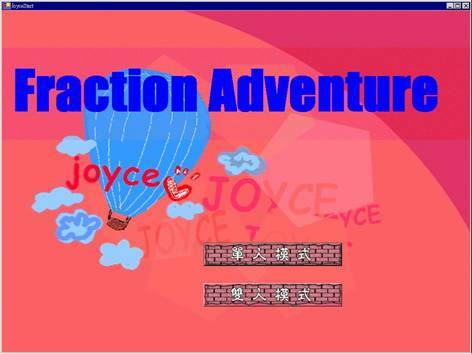 Joyce is that mark of an exercise is Online games of many people of the practice fraction，It is available to choose single or double mode in common. 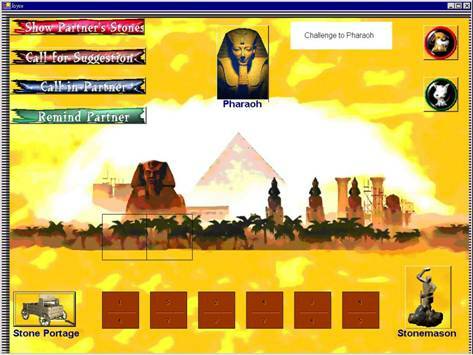 In the single way, the player carries on the game in RPG , and practise fraction with other players in way that is competed for, can be used in practising fraction after class; In the double way, the player carries on the game in RPG , reach the goal that the game establishes by way of practising the fraction alone first in initial stage , assign companion of player by way that system mate and then, cooperate with other group by group by way of one group of two people and way that group compete for come exercise fraction, can be used and practised fraction in the lesson.